The specifics regarding the birth of the final Messenger (sall Allāhu ʿalayhi wa sallam) sent to mankind have been the subject of debate between the scholars of history and Seerah for centuries. This brief treatise by Sheikh Ahmed bin ‘Abdil Azeez A-Hamdaan will aim to present in a concise manner the various opinions regarding the year, month, day and time of his birth as well as the statements of scholars aimed at those who take his (sall Allāhu ʿalayhi wa sallam) day of birth as a day of celebration. It is brief without going into too much detail simply in an attempt to allow the reader to visualise the vast range of opinions held by various scholars on this issue, which in turn should allow one to ponder over the validity of taking it as a day of celebration, bearing in the mind how unspecified the matter at hand is. I have also included a small amount of biographical information for a number of the numerous scholars mentioned. All praise is to Allāh alone and we send out peace and blessings upon the one, Muḥammad (sall Allāhu ʿalayhi wa sallam), after whom there is no other prophet sent. i. Fifty days after the destruction of Abraha and his army, this being the position of As-Suhayli Al-Māliki. ii. Fifty five days after as narrated by Al-Hāfiḍ Ad-Dimyāti Al-Shāfiʿī. iii. A month (thirty days) after as narrated by Mughlatay Al-Hanafi. iv. Forty days after as narrated by Ibn Sayyid An-Nās Ash-Shāfiʿī. v. Ten years before as narrated by Imām Az-Zuhri. vi. A few other lesser known opinions, ranging from fifty years before and other than this. – The months of Safar and Rabī’ Al-Aakhar as mentioned by Mughlatay Al-Hanafi. – The months of Rajab and Ramaḍān as mentioned by both Mughlatay Al-Hanafi and Ibn Sayyid An-Nās. These are generally weak opinions with little authentic evidence to support them. The opinion of Ramaḍān is based upon an (unverified) narration attributed to Ibn ʿUmar as well as the statement of the famous scholar of lineage and genealogy Az-Zubair bin Bakkār. This would however be in accordance with those who claimed that the mother of the Prophet (sall Allāhu ʿalayhi wa sallam) became pregnant during Ayyām At-Tashrīq (again attributed to Az-Zubair). What is an even weaker opinion is that she gave birth during these Ayyām At-Tashrīq. – Those who simply state that it is unspecified. – In the month of Rabī Al-Awwal, but do not specify a date. Amongst those who held this opinion was Al-Qastillānī in his book “Al-Mawāhib Al-Ladunniyya”. – It was on a Monday as stated in a ḥadīth from the collection of Imām Muslim. The vast majority are in agreement upon this alongside the dates they have postulated. – On the 7th of Rabī Al-Awwal. A rejected position which Ibn Dihyah Al-Kalbi narrates from some of the Shi’ah. – On the 8th of Rabī Al-Awaal. This is an extremely strong opinion as it has been narrated by Ibn ʿAbbas and the tābiʿī Muḥammad b. Jubair b. Mutʿim (raḍiy Allāhu ʿanhum). Ibn ʿAbdil Barr also transmits the historians’ acceptance and validation of this particular opinion. This was also the position strongly held by Muḥammad Al-Khawārizmi and favoured by Ibn Dihyah Al-Kalbi, who stated “this is the date besides which none have been fully authenticated and upon which the majority of historians have agreed upon”. Al-Qutb Al-Qastillaanee states “the 8th of Rabī Al-Awwal was the chosen opinion amongst the majority of Ahlul Ḥadīth as well as the majority of those who were the most learned in the subject of history”. Al-Qudaa’ee stated there is a consensus upon this date amongst those learned in date keeping based on astronomical calculations. – On the 9th of Rabī Al-Awwal. Amongst those who held this opinion was Pāsha Al-Falaki Al-Masri who wrote a thesis on the topic, aiming to expound upon it from a completely scientific perspective taking into account astronomical events and measurements in order to come up with a calculated final result. The late ʿAli At-Tantawi praised his work and was strongly in favour of this position. – On the 10th of Rabī Al-Awwal. Amongst those holding this opinion were Ash-Shaʿbi, and Muḥammad Al-Bāqir as well as being authenticated by Al-Hāfiḍ Ad-Dimyāti Ash-Shāfiʿī. – On the 12th of Rabī Al-Awwal. Amongst those who postulated this opinion was Ibn Isḥāq. The scholars have also differed over the exact time of the birth of the Prophet (sall Allāhu ʿalayhi wa sallam). Some have stated it was during the day. Others have stated it occurred in the early dawn. Others have stated it was during the night, as narrated by Al-Hākim on the authority of the Mother of the Believers, ʿĀ’isha (raḍiy Allāhu ʿanha). And of course Allāh knows best. My beloved brother/sister, upon presentation of the vast range of opinions, how are we to understand the lack of importance the Saḥāba placed upon documenting and marking the exact nature of the date of his (sall Allāhu ʿalayhi wa sallam) birth? The answer is simple and made plain. What this clearly indicates to us is that the Muslim is not required to pay a huge amount of attention in seeking his (sall Allāhu ʿalayhi wa sallam) birthday, nor to become preoccupied about when exactly it occurred. The only thing that is obligated of the Muslim is for him or her to see where they stand in terms of their love for the Prophet (sall Allāhu ʿalayhi wa sallam), how closely and how well they are able to follow the Sharīʿah that he was sent with, how sincere is their striving to follow his Sunnah and in helping guide others also to its divine precepts and, last but not least, their commitment & dedication to espousing his noble character and virtues in their own daily lives and dealings with others. So where are we dear brother or sister, in regards to what Allāh has obligated upon us and by what He has sent His messenger Muḥammad (sall Allāhu ʿalayhi wa sallam)? This is what every single Muslim should be concentrating on: examining their lives in order to evaluate its nature, how closely they follow the character of the Messenger and the commandments He came with. – Dhahīr Ad-Dīn Ja’far At-Tizmanti says, “This action (of celebrating the Mawlid) did not occur during the early times of the pious predecessors out of their exaltation and love for him (sall Allāhu ʿalayhi wa sallam), yet all of us together could not match even a single one of them in their love and exaltation of him (sall Allāhu ʿalayhi wa sallam). – Ibn Taymiyyah states, “The reason for some people taking the day of the birth of the Prophet (sall Allāhu ʿalayhi wa sallam) as a day of ʿEid (celebration) was either due to an emulation of the Christians in their Christmas celebrations, marking the birth of ʿĪsa (ʿalayhi al-Salām), or stemming from an innovated kind of over-glorification and exultation of the Prophet (sall Allāhu ʿalayhi wa sallam). It is innovated because it was not something the Salaf ever celebrated by carrying out what is necessary for it to be classified as a celebration, despite the fact that there was nothing stopping them from doing so. Thus had this been something that truly was good, pure and the most correct thing to do then without doubt it is the Salaf who were more entitled to celebrate it than us. For indeed, they were much stronger in their [true] love for the Prophet (sall Allāhu ʿalayhi wa sallam) than we are and much more committed and dedicated to [doing] acts of goodness. Thus the true and complete love and exultation of him (sall Allāhu ʿalayhi wa sallam) comes through following him, obeying him and adhering to his instructions, by reviving his Sunnah both outwardly and inwardly, by spreading the guidance with which he was sent and by striving upon all of that with our hearts, hands and tongues. Indeed, this was the way of the foremost among the earlier generations from the Muhājirīn and the Ansār and those who followed them, with excellence. – Imām Mālik b. Anas states, “Whomsoever from this Ummah innovates something (into this Religion) for which there is nothing of its like preceding it, then he has declared that the Messenger of Allāh (sall Allāhu ʿalayhi wa sallam) has indeed betrayed his trust in conveying the message, for Allāh states, “This day I have perfected for you your religion and completed My favour upon you and have approved for you Islām as the religion.”” Thus what was not part of the religion then, is not part of the religion today. These should suffice however there are many other quotes from a range of scholars cross-madhab and from various mainstream Sunni theologies regarding the innovation of celebrating the Mawlid. What we have presented here are just a few. This article has been reposted. The Arabic term meaning biography or historical account. Here it specifically refers to the biography of the life of the Prophet Muḥammad (sall Allāhu ʿalayhi wa sallam). He is the Andalusian Maliki scholar, ʿAbul Qāsim ʿAbdur- Rahmān b. ʿAbdillah b. Aḥmad As-Suhaylī. Born 508h in Malaga, (modern day Spain) and died 518h in Marrakech, Morocco. He lost his eyesight at age 17 yet continued in his pursuit of knowledge to become a scholar of Ḥadīth, Seerah and Arabic grammar. Amongst his most well-known works is “Ar-Rawd Al-Anf”, an explanation of Ibn Hishām’s famous work on the Seerah of the Prophet (sall Allāhu ʿalayhi wa sallam), from which the quoted opinions are taken. He is the Egyptian Shafiʿī scholar, ʿAbdul Muʿmin b. Abī Al-Ḥassan b. Sharaf b. Al-Khidr b. Mūsā At-Tūnī Al-Ḥāfiḍ Sharaf Ad-Dīn Ad-Dimyāti. Born in North Eastern Egypt in 613h and died 705h. A Faqīh, great Muḥaddith and scholar of Seerah. Amongst those who heard Aḥadīth from him were Imām An-Nawawi, Sheikhul Islām Ibn Taymiyyah, Al-Ḥāfiḍ Al-Mizzi and Imām Adh-Dhahabi as well as many others. His opinions here are taken from his “As-Seerah An-Nabawiyyah”. He is the Egyptian Hanafi Muḥaddith, Mughlatay b. Qaleej b. ʿAbdillah Al-Bakjary Al-Masri Al-Hanafi. Born in 689h and died in 762h. Although he was considered to be from the people of Egypt due to where he was raised, lived and studied, he was ethnically Turkish. He studied under some of the great scholars of Ḥadīth and Language in his time, authoring over a hundred books including a twenty volume explanation of Saḥīḥ Al-Bukhārī and an explanation of Ibn Majah’s ḥadīth collection which went uncompleted. His opinions here are taken from his book on the Prophet’s Seerah titled, “Al-Ishāratu ilā Sīrati Sayyidinā Muḥammad (sall Allāhu ʿalayhi wa sallam) Al-Mustafa”. He is the Egyptian Shafiʿī scholar, Fatḥ Ad-Dīn Abul Fatḥ Muḥammad b. Muḥammad b. Muḥammad Al-Yaʿmurī better known as Ibn Sayyid An-Nās. Born in 671h in Cairo and died 734h in Cairo. Originally of Spanish origin with family hailing from Seville. He was a great scholar of the sciences of Ḥadīth, Fiqh, History, Grammar and was even a poet. He travelled extensively throughout Egypt, Ash-Shām and Al-Hijāz for knowledge. Imām Adh-Dhahabi mentions regarding Ibn Sayyid An-Nās, “he had close to a thousand teachers”, amongst those he studied most extensively with was Sheikhul Islām Ibn Taymiyyah. His opinions here are taken from his work on Seerah, “’Uyun Al-Athar fī Funūn Al-Maghāzi Wash-Shamāili Was-Siyar”. He is Muḥammad b. Muslim b. ʿAbdillah b. Shihāb Az-Zuhri, the famous scholar and muḥaddith from the Tābiʿīn. He was born in 58h near the end of the caliphate of Mu’awiyah b. Abī Sufyan (raḍiy Allāhu ʿanhu), the same year of the passing of the Mother of the Believers, ʿĀ’isha (raḍiy Allāhu ʿanha) and died 128h. He was from the tribe of Quraish, the same tribe as that of the Prophet (sall Allāhu ʿalayhi wa sallam). A great scholar of ḥadīth whose inheritance was of great importance to the muḥaddithīn of later generations. An Imām of the Sunnah about whom the Khalifah ʿUmar b. ʿAbdil ʿAzīz (raḥimahum Allāhu) said, “Upon you (is to take from) Ibn Shihāb, for you will find no-one more knowledgeable than him in the Prophetic Sunnah (in his time) than him”. Ibn Kathīr writes in his “Al-Bidayah Wan-Nihayah”, “Ibn ʿAbdil Barr narrates that Az-Zubair b. Bakkar said, and it is an extremely weak statement, ‘He (sall Allāhu ʿalayhi wa sallam) was born in Ramaḍān, his mother becoming pregnant with him in the Ayyām At-Tashrīq’. He based this statement upon the well-known and established fact that the Prophet (sall Allāhu ʿalayhi wa sallam) received his very first revelation, thus marking the beginning of his prophethood, in the month of Ramaḍān when he turned forty. By this reckoning this too then would be his date of birth.” As Ibn Kathīr made clear, this is an extremely weak opinion, one based upon analogy instead of any real evidence and furthermore in opposition to the stronger, more widely held opinion regarding the month of his (sall Allāhu ʿalayhi wa sallam) birth. 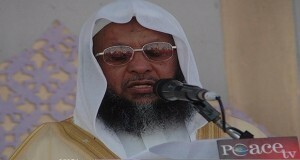 He is Az-Zubair b. Bakkār b. ʿAbdillah Al-Qurashi Al-Makki, a descendent of the saḥābi Az-Zubair b. Al-ʿAwwām (raḍiy Allāhu ʿanhu). Born 172h in Madīnah and died 256h in Makkah, spending extensive amounts of time seeking knowledge in Baghdad throughout his life. He was a specialist in lineage, Arab genealogies and jahili & Islamic poetry. He authored a number of books on the genealogy of the Arabs including one specifically for the tribe of Quraish and another on the ‘Aws and Khazraj tribes of Madīnah. In terms of his reliability as a narrator of ḥadīth he is deemed trustworthy. A number of scholars narrated ḥadīth from him such as Ibn Majah, Abū Hātim Ar-Rāzi and Ibn Abī Ad-Dunya. “Ayyām At-Tashrīq” or “The Days of Tashrīq” occur within the Islamic month of Dhul Hijjah, being the 12th, 13th and 14th of this blessed month. It was narrated from Abū Qatādah al-Ansāri that the Messenger of Allāh (sall Allāhu ʿalayhi wa sallam) was asked about fasting on Mondays. He said: “On that day I was born, and on it the Revelation came to me”. [Muslim, 1162]  He is Abū ʿUmar, Yūsuf b. ʿAbdullah b. Muḥammad b. ʿAbdul-Barr b. ʿĀsim An-Namari Al-Qurtubi. Born 368h. He was a celebrated, learned Imām and was the Sheikh-ul-Islām and Ḥāfiḍ of Al-Maghrib (North West Africa). He was considered as the master of his time in the memorization and accurate rendering of ḥadīth. He was also skilled in the science of genealogy and history. Ibn Hazm said regarding him, “I cannot talk about the knowledge of ḥadīth like ‘Abdul-Barr, so how can I do better than him?” He has authored many books, the most famous of which is Al-Istiʿāb. Ibn ʿAbdul-Barr died in 463h at the age of 95 years. He is Abū ʿAbdillah Muḥammad b. ʿUmar b. Wāqid Al-Aslami. Born in Madīnah in 130h and passed away in Baghdad in 207h. He was chosen as a guide by the Caliph Hārūn Ar-Rashīd during his Ḥajj pilgrimage. Al-Wāqidi accompanied him back to Baghdad where he was appointed as a judge, serving in this position until he passed away there. Although he memorised aḥadīth, he had been heavily criticised for his reliability in the field by such scholars as Imām Adh-Dhahabi and Ash-Shāfiʿī. Nonetheless his speciality was history, and a great historian he was, authoring a large number of works on the Seerah and conquests of the Muslims, amongst his most famous being “Kitāb At-Tarīkh wal-Maghāzi”. It was said he even visited the sites of battles in order to reflect a more accurate portrayal of events in the Seerah. He is ʿUmar b. Al-Ḥasan b. ʿAli b. Muḥammad Abū Al-Khattab b. Dihya Al-Kalbi. Born in 544h and died 633h, of Andalusian origin, Az-Zarkalī in his “Al-Aʿlām” mentions him being a historian and scholar of ḥadīth. He has a mixed reception however amongst the scholars. He travelled for knowledge to Marrakech, Ash-Shām, Iraq and Khurasān then settled in Egypt. It was in 604h in Irbil (in Northern Iraq) where he met the ruler and also the first to introduce the innovation of the Mawlid, Muzaffar Ad-Din ibn Zain Ad-Din. Muzaffar was very keen to celebrate the Prophet’s (sall Allāhu ʿalayhi wa sallam) birthday so in assistance to him Ibn Dihya wrote, “At-Tanweer fi Mawlid Al-Siraaj Al-Muneer” for him, in support of this celebration and for which ‘incidentally’ he was also paid one thousand Dirhams. Ibn Kathīr mentions regarding Ibn Dihyah, “He used to defame the Muslims and disparage them. He would make additions in his reports and exaggerate. Thus the people gave up narrating traditions from him and falsified him. Kamil was favouring him. When his conduct was disclosed to him, he withdrew Dar-al-Ḥadīth from him and disgraced him.” [Al-Bidayah Wan-Nihayah 13/144-146]. Ibn Hajr Al-Asqalani similarly states, “He was a liar, lied frequently, and a fabricator. He often slandered the scholars and the jurists of the past, used evil tongue, self-conceited, lacked insight in religious matters, and looked down upon religion. This has been reported from al-Hafiz Diya.” [Lisaan Al-Meezan 4/295]. His opinions here are mentioned from a purely academic perspective taken from the aforementioned work he wrote for Muzaffar Ad-Dīn. He is the Egyptian Shafiʿī scholar, Muḥammad b. Salāmah b. Jaʿfar b. ʿAli b. Hakmūn Abū ʿAbdillah Al’Qudāʿī. His date of birth is not documented but he passed away in 454h in Egypt. Az-Zarkali mentions in his “Al-Aʿlām” that he was a scholar of exegesis and a historian. Amongst his works was a ten volume tafsīr of the Qur’ān and various historical writings on the history of the prophets, the khulafā’ and “’Uyun Al-Ma’aarif wa Funoon Akhbaar Al-Khalaa-if” from which the quoted opinion is taken. He is Maḥmūd Aḥmad Ḥamdi Al-Falaki, a celebrated Egyptian astronomer and geographer from the late 19th century. Born in 1815 AD and died 1885. He studied in France and excelled in the sciences particularly in astronomy and geography, holding a number of important government posts and at one point he was commissioned to create one of Egypt’s very first topographical maps. He wrote a number of scientific works and used his knowledge of astronomy to try and scientifically deduce an exact date of the birth and death of the Prophet (sall Allāhu ʿalayhi wa sallam). He also postulated that the pyramids in Giza were built for astronomical purposes. His opinion quoted here for academic purposes is taken from his work, “At-Taqwīm Al-ʿArabi Qabl Al-Islām”. Praise is to Allah for the awareness, the motivation of this article. May Allah continue to bless you in the use of the pen and in other activities. The Prophet sws prayed taraweh in the masjid the first night, people gathered behind him, the second night more people joined behind him, the thrid night he prayed at home. so he showed us we can pray at home alone or in the masjud in congregation, Umar ra only reestablished the sunnah. I always find it amazing that people completely bypass the shar’i and intellectual discussion that is presented or even are unable to challenge it but so easily dismiss it by emotions. It would be good for one who objects to the article to actually present a valid argument we can all actually consider and discuss! This is a really one-sided article that promotes the Salafi/Wahabi viewpoint which is overly strict and ignorant and does not match the majority of Muslims Ahlul-Sunnah wal Jama’ah teachings. Most Sunni Muslims celebrate the birthday of the Prophet (SAW) and they do not call it a biddah because they are intelligent enough to know the definition of the word “biddah”. Celebrating birthdays is not a biddah because it is not an act of worship nor an introduction of a new Islamic concept. Celebration of birthdays is up to the individual to decide and falls into the fiqhi category of mubah. Just because the salaf didn’t do something it doesn’t make it haram or biddah to do something. One must also remember that according to a lot of Sunni scholars, there is such a thing as ‘Biddah Hasanah’ – a good biddah, originating from their interpretation of how Umar made the Taraweeh prayer innovation. Educated and non educated and quick to fire at others would normally ruin all their life’s worth of good work by making one simple mistake of calling some one a non believer when he is in fact a Muslim. Peace and love to all believers — arrival of the Prophet is the biggest gift to humanity from Allah ta Allah. We do need to be grateful to Him and sending the salutations to the Prophet and rejoicing on his arrival can not be anti Islamic as long as the actions are within the prescribed rules of Islam. I just spent valuable time reading this ‘article’ which I could have spent doing something useful like salawat. 1) Quran being complied in a book needs to be analysed. 3) Reciting Tahajjud in unison every year last 10 nights of Ramadan needs to be analysed. 4) The Two Adhaans for Jummah need to be analysed. 5) The two sacred Masjids in Makkah & Madina both have the Mueizzen say “Rabbna Wa Lal Hamd” in all 5 Salah. Those people who celebrate Milaad through the love and respect of the Prophet [May Allah bless Him and grant Him peace], will be rewarded by Allah. When I was in Senior High School, we usually celebrate Mawlid by inviting a da’i to give us lecture on Sirah Nabawiyah in our mosque. In our district, we will celebrate Mawlid by invite da’i to give us lecture on Islam. Before that some people will give shalawat to our prophet. I think if we make this time to know more about our prophet, why is it forbidden? Is this a fair article? Does this article really give a balanced and objective view on the various opinions tat great scholars have had on the Mawlid? It has no mention about the views of Sunni luminaries, such as Imam al-Suyuti, ibn al-Jawzi, ibn Hajar Asqalani, and many many others (May Allah have mercy on all of them), about the Mawlid. They all considered the Mawlid permissible, and even a good act. This article is higly subjective, and does not give a chance for the reader to atleast be aware of the differences of opinion. Rather, it poses to be seemingly objective. This is very unfair towards fellow sincere Muslims. We are commanded to be fair even towards those we have enmity towards. This article, unfortunately, is not being fair with a large part of Sunni scholarship and Sunni muslims in general. Is this really a fair and objective article? humble servant of allah . Is it not am Islamic ruling that everything is permissable until proven otherwise!And from what you have mentioned I don’t see you mention any proof from Quran and Hadith that it is not allowed to celebrate the Birth. I must say although this article tries to show how scholarly it is, in reality it is just one group giving their opinion. Salamu Alaykum why would you use a picture of cymbals which are clearly haram. I think some people are very cunning and treacherous. If you truly have scholarly ‘ilm then just make your point clear. I have attend Mawlids all over the World and not once have I ever heard a haram instrument. I only have heard a duff. If I ever heard a haram instrument I would get up and walk out! At Mawlids I see people who hold fast to the Shariah who don’t shake hands with the opposite gender, who don’t commit ghiba, who don’t shave their beards, who don’t compromise on their fiqh, who are Muslims. Many great Muslims of the past practiced Mawlid and some did not. Nevertheless don’t make it seem as though the people who celebrate Mawlid are these goofy musician types. At many mawlids you find mostly speeches on the seerah and Quran recital. I don’t like and in fact I detest the lame nature of people who use treachery in making their point. I once heard a khutba on this topic and the khateeb Audhubillah used the example of Egypt of men and women in the same room holding hands and the like. It is almost like seeing Muslim in a thawb and cigarette with full beard. So if a Kafir writes a blog article titled: “Believe in Islam or not” and shows such a picture what would we say and how would we react? Anyways I approached this Khateeb and tried to tell him he used a bad example and it was a a bit unfair of a case he made using such extreme samples. He became very defensive and arrogant so we will leave it at that. May Allah grant us Hikma in refutation and love for the Muslims and save us from khiyana. Totally agree with abdus samad. Basically scholars on both sides of the argument devote too much time and write lengthy articles trying to disprove each other. You have other great scholars of the past like Imam nawawi and ibn jawzi (ra) who both agreed with celebrating the birth maybe not in the way groups celebrate it these days by street processions for example, and who both sides recognise. The point is both sides can provide arguments/proofs for and against and I would take the middle path of recognising the birth of the prophet as a great blessing and a joyous occasion (dosent matter what month it was) and trying to use this month and others to go through the seerah of the prophet (pbuh) and to learn more about his life. This would be a great use of the the month and maybe useful as most people don’t know much about the sunnah and life of the prophet (pbuh) and would be the one of the time where they can learn more about him, but shouldn’t be the only time of course!! We always have two extremes and this hadiths is clear, authentic and answers boths sides of the arguement. 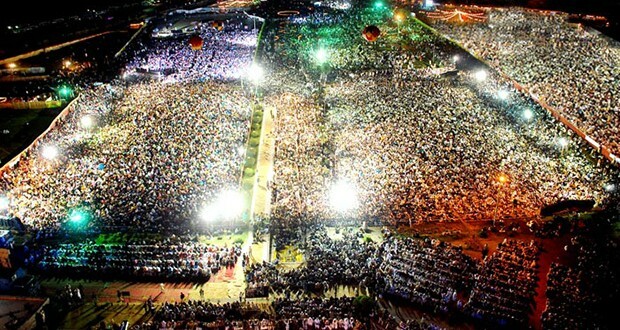 To those who choose to celebrate the birth of the prophet… this is evidence he did so…. not by making a fete out of the day, but by fasting on monday… every monday all year round…..
You want to celebrate his birth, practice the sunnah and celebrate every monday… by FASTING. The second extreme is those that say that is is bidah to celebrate. He said he fasted on a mondays because he was BORN ON THAT DAY.